Now that the craziness of summer is almost coming to a close, fall wedding season is officially upon us! Besides the excitement of seeing your favorite people tie the knot, we also adore seeing all the creative flourishes that make weddings so memorable and unique. If you (or someone you know) happen to be getting hitched pretty soon, here are a few of our favorite flourishes that will ignite your creative spark. Before getting ready for the big day, show off your creativity with a wedding website that will wow your guests! 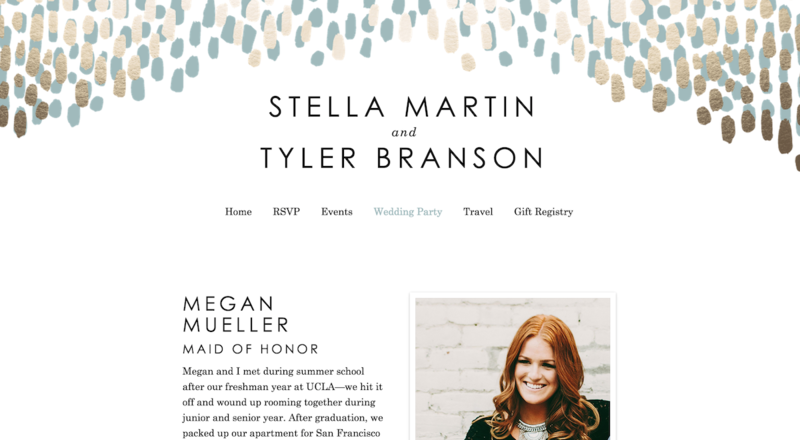 While wedding websites used to be complicated to create, companies like Minted are making it easier than ever to customize and build your own. 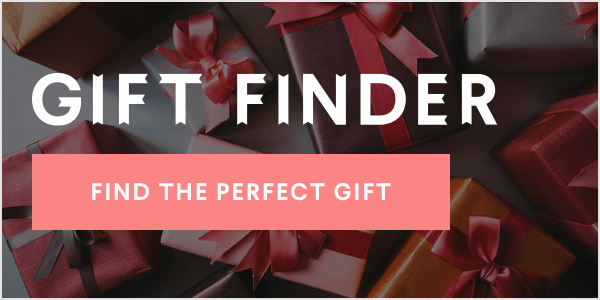 You can choose from a variety of gorgeous templates, and add all your information so guests have a one stop shop for everything wedding related. We especially love the "Modern Dash" theme because anything gold accented is good in our book! While place settings can seem a little overwhelming (especially if you happen to have an epically large guest list) even the simplest DIY can look extravagant. 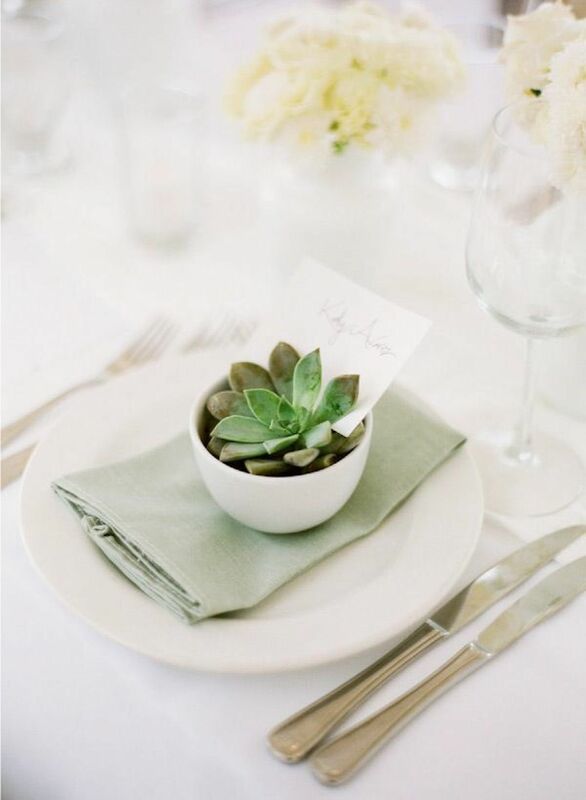 Whether it's chalkboard centerpieces, leaves featuring metallic calligraphy, or the gorgeous succulents below, pretty place settings can show off your creativity without breaking the bank! While a traditional guest book is always nice, you can remember your wedding and your guest even more creatively! 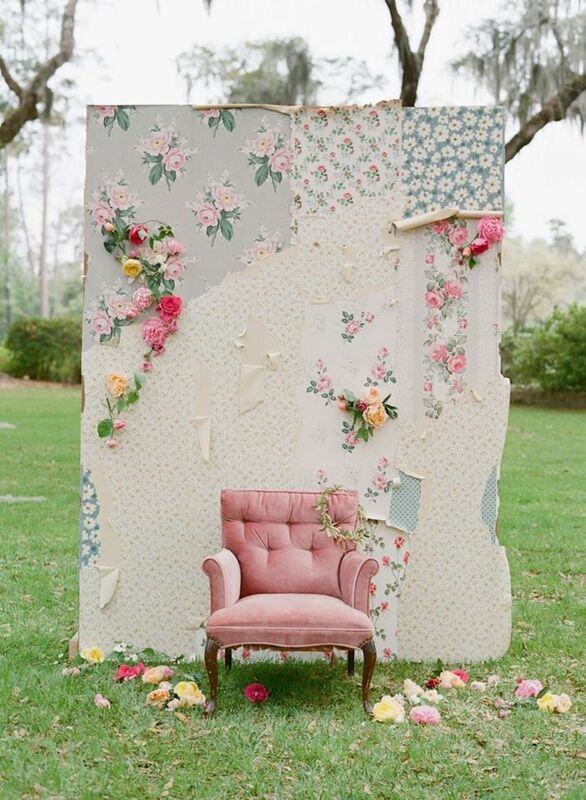 Turn yours into a photo book with a gorgeous photo booth set up (like this torn wallpaper version below), to give yourself a visual reminder of everyone who came to celebrate your big day. Take it one step further and set up a guest video box where friends and family can record their well wishes for the newlyweds. It's the perfect way to share funny stories, love notes, or anything else friends and family want to share to make your day even more memorable. Sure cakes are nice, but why not turn things up a notch? 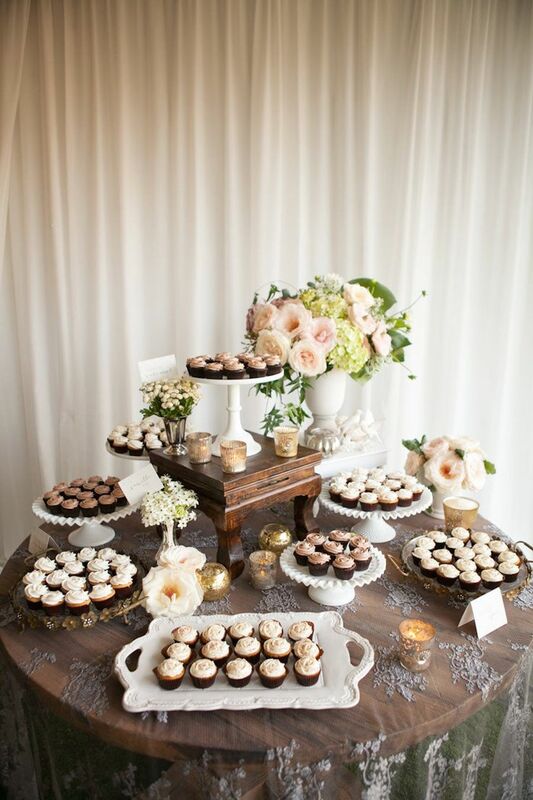 Dessert tables are an easy solution for the bride to be with varied tastes, and it's way easier for your guest to snag their favorite treats without worrying about slicing the perfect amount of cake. From cake pops, to cupcakes, or make your own candy bags, there are so many creative options that your wedding guests will remeber for a long time. Plus, how gorgeous are they to photograph? We're swooning over the snap below! Catering can be the biggest pain point of any wedding planning process, so why not think outside the kitchen? 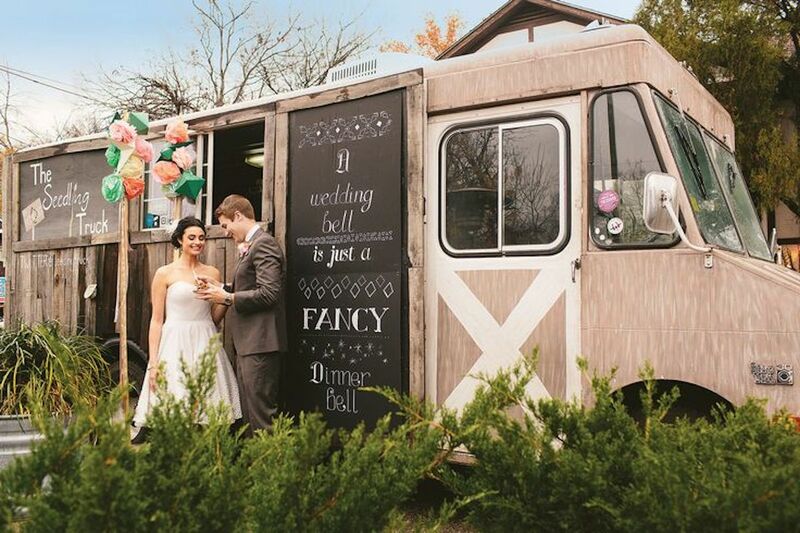 Food trucks are a creative new wedding trend that makes it easy for everyone to pick their favorite dish, without the hassle of worrying if everything is going to go smoothly during dinner. I'd personally vouch for tacos (yum! ), but there are so many options that you can pick a few of your favorites for a fraction of the cost of most catering companies. Make it easier for your guests to find the main event in an extra creative way! 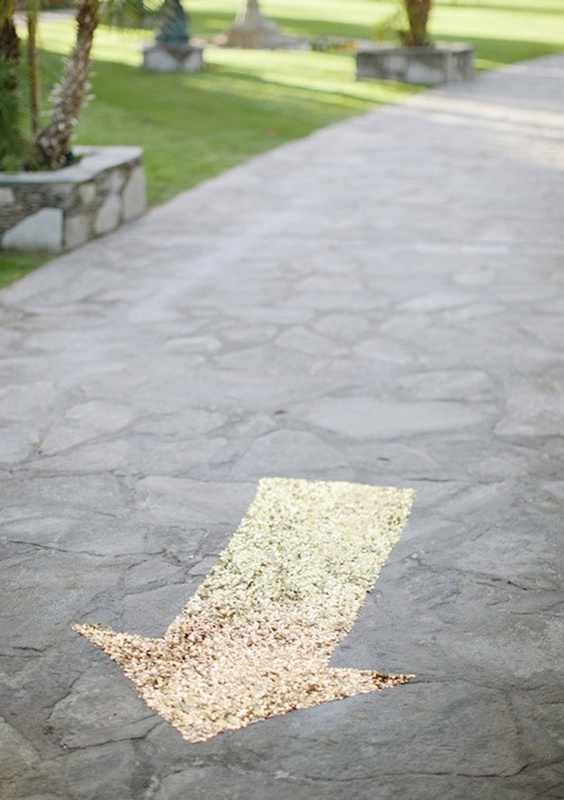 From glitter arrows, to chalkboard road signs, to rose pedals lining the ceremony to the reception – there are so many fun ways to take you from point A to point B beautifully while showing off your creativity. Any other creative wedding tips you have to share with us? We'd love to know your favorite ideas!